McElveen Buick GMC has been in business since the early 1950s and has been family operated and owned since 1978. Our convenient location in South Carolina puts us in the perfect position for customers to take advantage of our large inventory including the largest inventory of trucks in the state of South Carolina. Customers will find our knowledgeable staff are helpful and upfront about price and quality. Our website provides customers the chance to take a look at our large inventory of Buick, GMC and lifted trucks. All of our vehicles are accurately represented so customers know exactly what they are getting from our vehicles. We are proud to serve Moncks Corner, Berkeley County, Dorchester County, Charleston County and surrounding areas. Customers all over South Carolina consider McElveen Buick GMC to be the Buick and GMC dealer of choice and we work hard to maintain our status as the number one GMC dealer. We have the new GMC trucks and SUVs that you have been looking for. If you need a GMC Sierra to get the job done, or the smaller Canyon, then we have the truck selection you need. We also have Terrain, Yukon, Acadia, and Savana. Looking for a reliable Buick, then browse through our inventory of Buick models like the Encore, LaCrosse, Envision, and more. We know we have the car, truck, or SUV that you need. 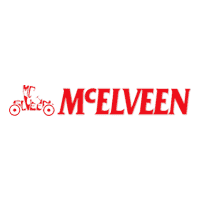 Aside from our large inventory of available Buick and GMC vehicles, at McElveen Buick GMC, we also offer customers a service center that provides quality vehicle maintenance by highly trained and qualified service professionals. Whether you are looking for routine service such as an oil change or need something more major our staff are here to help. We provide our customers with upfront pricing and even offer service coupons on our website to give our customers the best deals in the Summerville area. We pride ourselves on our selection and price!